This time, itâ€™s different. Because this time, my family and I also needed to pick up the pieces and move on from a tragedy brought about by the destructive side of Mother Nature: Typhoon Ondoy (Ketsana). 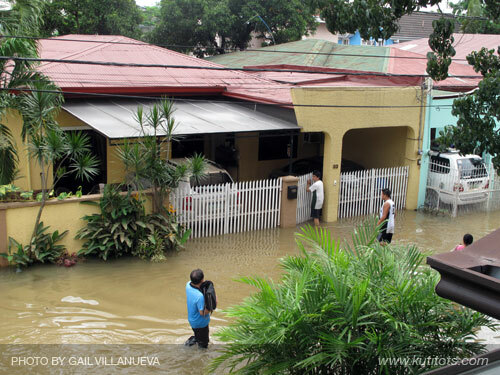 As you can see in my previous post, our bungalow in Cainta was flooded. But the photos in that post were taken before the worst happened. About an hour after that Marc, my dad, and I were already running on adrenaline trying to save and secure important items before evacuating to a neighborâ€™s two-story house. Both cars were submerged in the flood — Marc and my dad could only look on sadly from our neighborâ€™s window, hoping against hope that maybe (just maybe) the cars would miraculously remain undamaged even if the essential parts were helplessly drowning in murky water. More nerve-wracking was having to leave our dogs behind. We werenâ€™t the only family our kind neighbor took in, so we could only take with us the two tiny dogs not part of our canine pack. We left our other dogs on floating airbeds and secured viable exits for escape in case they needed to. Having a bit of knowledge on our petsâ€™ pack behavior on taking care of each other when the going gets tough was little assurance — not knowing what might happen to our pets was just pure torture. Water reached chest-deep by early morning and subsided by the afternoon of the next day. Early Sunday (27 Sept 2009) afternoon, people are going back to their houses. My dad surveys flood damage to our home. I slept off the rest of the afternoon waiting for the water to subside, but partly I also wanted to prolong the time before I had to face our ruined belongings. My sister warned me of the disarray I would face, but I was not prepared for the mess I saw. 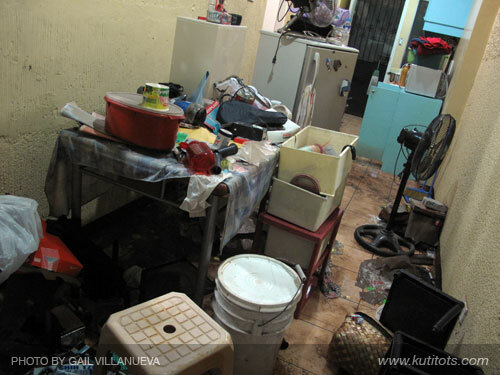 Unlike our neighbors, we arenâ€™t fortunate enough to have maids and house boys to our advantage — it was only me, my dad, Marc and my sister against a muddy, flood-stricken house. My mom, being half-immobile due to a stroke she suffered about three to four years ago, still tried her best to move things around to help us clean up the mess we called our home. We didnâ€™t want to trouble our neighbor further — their hospitality and kindness of taking us in for two days were more than we could ask for — so we did our best to make the dirty house at least livable. From the bedrooms to the kitchen, to the living room, the home office, then the yard. It took us more than a week to clean things up and let the gravity of the situation sink in. You see, cleaning up wasnâ€™t just physically tiring — it was emotionally draining as well. 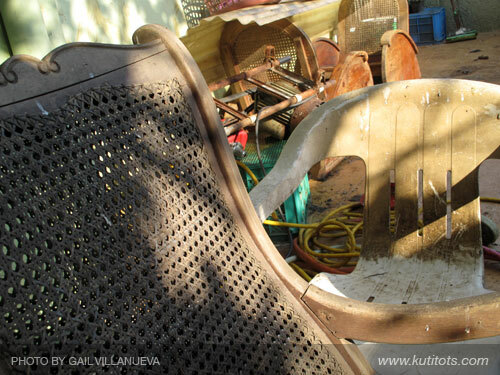 Apart from scrubbing floors, walls, and tabletops, we also had to sort through our things ruined by the flood, and that includes having to throw away now-useless memorabilia and priceless treasures of sentimental value. By the time we finished cleaning, we were numb both physically and emotionally. Indeed, this flood was one of the most difficult ordeals my family had to go through. But strangely enough, such tradegy is also a paradox of sorts. Typhoon Ondoy brought disaster to our relatively peaceful community, and yet it also fostered new friendships and strengthened ties between neighbors, friends and family. We will forever be grateful to our neighbor who lived right across our home and took us in, as well as all our friends and relatives who braved the heavy traffic and disaster-stricken streets to bring us food and drinking water when we had no means of travel to get essentials outside the disaster zone. Even those whom we did not expect to help our family did. Strangers became friends, and a community that used to meet only at Christmas bonded together to pick up the pieces and move on. My only link to the online world that week was a choppy, grounded DSL cable connecting me to the web for a maximum of two minutes before shutting me off. It wasnâ€™t much to go on with. Luckily, good friends were patient enough to update me in the on-goings of things through text and an awfully noisy phone line. Though Marc and I nearly canceled our trip to Cebu for the Visayas leg of the Blog Awards, Iâ€™m glad we didnâ€™t. Spending time with good friends (albeit the PBA work involved) really helped alleviate the emotional and mental stress the Typhoon brought. I also celebrated my birthday on the 8th of October, but it was different this year. I foregone my usual tradition of blogging on my birthday for fear of being too emotional, having wounds from Ondoy still a bit too fresh in my memory. My family only had a simple take-out dinner for five in our still-a-bit-dirty home, but I couldnâ€™t be any happier. No need for gifts or expensive new gadgets. I was lucky — we were lucky. This entry was posted on Wednesday, 2 December 2009 at 6:26 am and is filed under Daily Dose, Musings. We’re glad that you’re on the path of recovery and being busy means that life is going back on track for you. Good thing is, Christmas for all of us would be dry and comfy. Well, for most of us. gail, jo ann here … we don’t know how to reach you … good thing we stumbled in your blog again. hope you, marc and your family are all alright! god bless!! !